The Progressive Era was among the most volatile times for the economy and labor in American History. 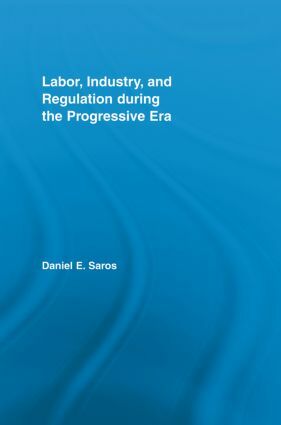 Daniel E. Saros explores the institutional and economic conditions of this time, revealing new insight into the regulated nature of industry and the conditions of labor. Using the steel industry as a case study, Saros demonstrates how the United States Steel Corporation enhanced the performance of the steel industry by initiating a price and wage stabilization program. In an effort to combat potential threats from the federal government, the American public, and organized labor to the market stabilization program and mechanization drive, the steel companies introduced a paternalistic welfare program, company unions, and limited hours reform. Saros also contrasts this time with free market periods, examining the impacts on rates of profit, output growth, and capital accumulation.